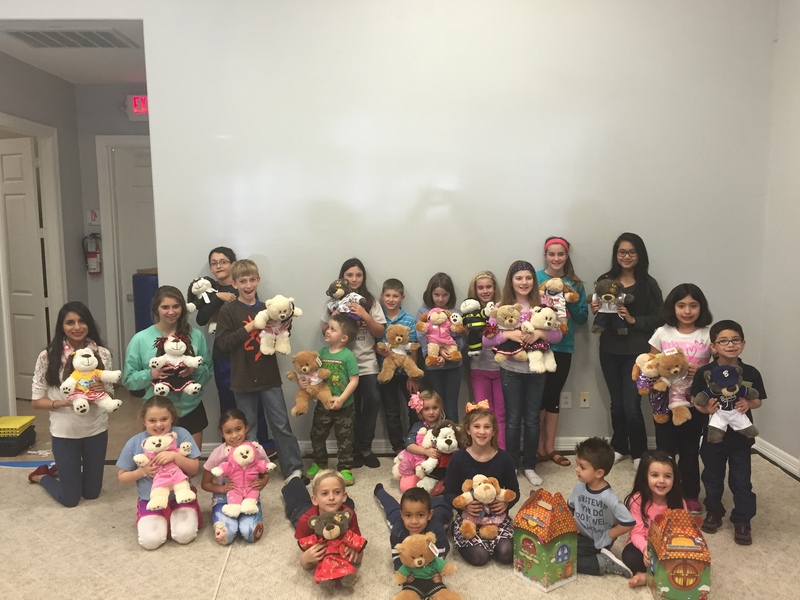 Earlier in February, WordServe had the opportunity to bless Texas Children’s Hospital with custom-created Build-A-Bear gifts. The bears will be given to children who are battling illness and injury and face an extended hospital stay. As WordServe values elevating others as God’s masterpieces, we hope that the children receiving these bears will find comfort, joy, and encouragement from these tangible displays of compassion. 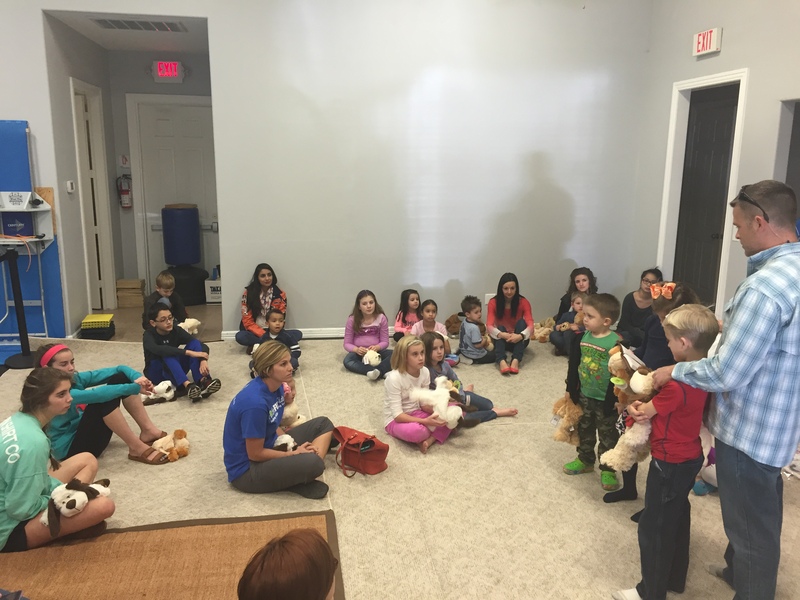 People of all ages and walks of life–young children, moms, dads, youth volunteers–gathered at Guardian Tae-kwon-do and assembled the bears and stuffed animals with clothing, accessories, and love. Thank you to all who participated in this awesome Compassion event! Stay tuned for more upcoming service opportunities. For many high school students, taking part in community service is a meaningful way to give back to others and gain skills and experiences valuable for future pursuits. We are blessed to live in a community where high school students are passionate and proactive about serving others. 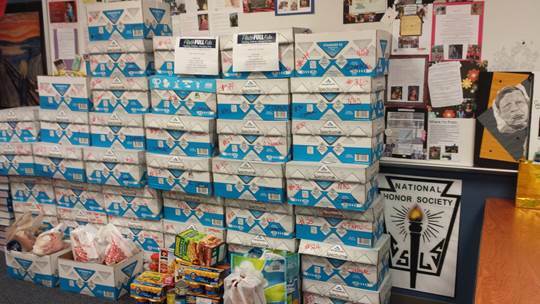 Seven Lakes High School’s National Honor Society, a chapter with close to 600 members known for its enthusiastic community service efforts, adopted FaithFULL Kids as its Fall 2014 service project. Christina Zapalac, who serves as SLHS’s NHS sponsor, heard Rachel Dillon speak about the vision and mission behind FaithFULL Kids at during a recent service at WordServe. Moved by what FaithFULL Kids is accomplishing in the community, Christina quickly mobilized students from SLHS to volunteer for the Sunday afternoon packing parties at Guardian TKD. 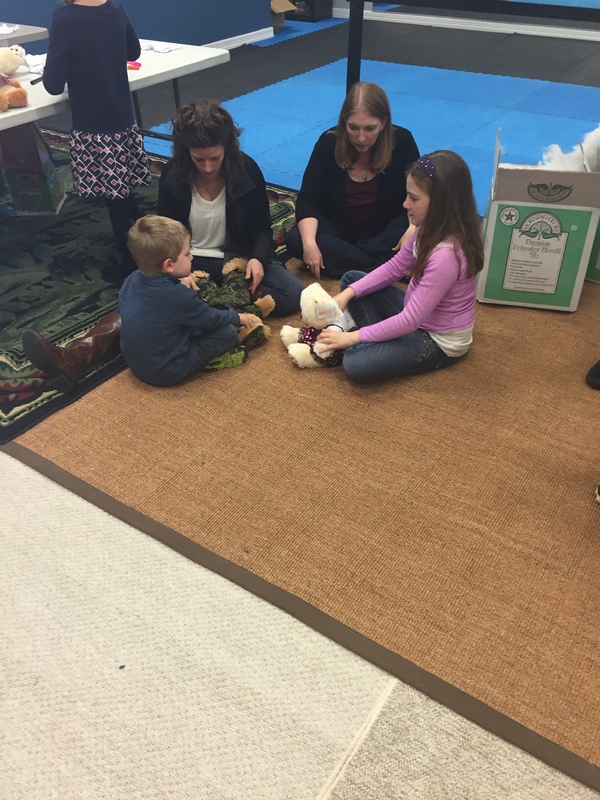 Students jumped at the chance to earn service hours and help others, and packing parties soon became full. But NHS didn’t stop there. Every fall, the organization promotes a school-wide service project to benefit the surrounding area. The students who had already served with FaithFULL Kids knew of the weekly food needs and could think of no better way of helping out than to conduct a food drive and donate the collections to FaithFULL Kids. Over the course of several weeks, SLHS NHS collected 50 boxes of non-perishable food to restock the FaithFULL Kid shelves. WordServe is so excited to have SLHS NHS join our efforts to ensure that no child from Huggins Elementary goes hungry. Right now, pray blessings for every child receiving food backpacks from FaithFULL Kids, as well as every student who provided a simple food item for the drive! Thanks, SLHS NHS! At WordServe Church, our mission is to guide people to grow as joyful servants of Jesus. One of the best places this can happen is between parents and their children. Ah, you say… that sounds like a 5 year old… sort of. But combine this list (and the $6.00) with the handwritten note she dropped off, and you have a 5 year old’s version of a care package for a Compassion Child that our church adopted over a year ago. 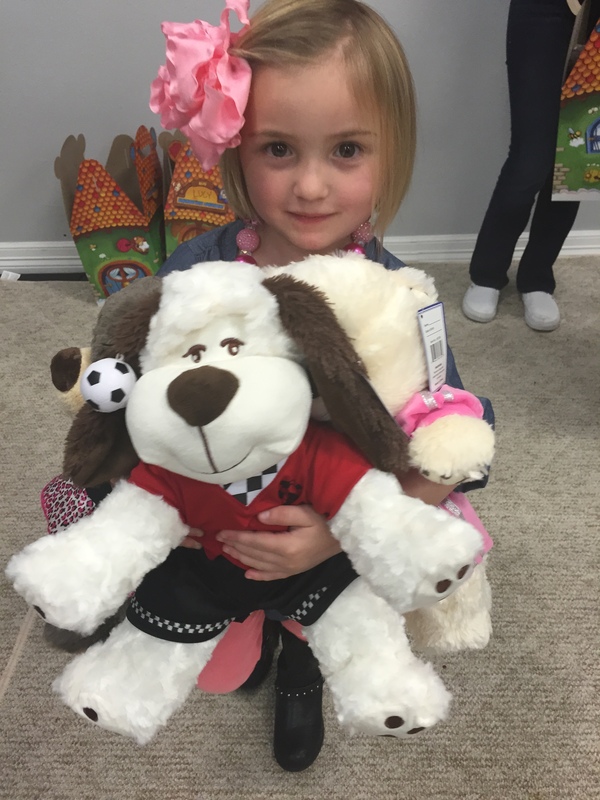 Her money, her time, and her gifts went to a child living in poverty. One child is richer than most of us because she is loved… sacrificially. And another child humbles us all as she shows us what it means to truly put someone else’s needs above her own. Sometimes those that we think we’re guiding to grow turn out to be the ones guiding us to grow! Life is Different! Come and see….